Last Tuesday night’s demonstration of the MuleSoft’s Eclipse Tool Suite at the Vancouver Eclipse Demo Camp went well. I almost got Nerf-gunned for a (slight) overtime but the organizers’ mercifulness has allowed me reach the end of the demo with a running sample 🙂 For those who weren’t there, here is a summary of my presentation. 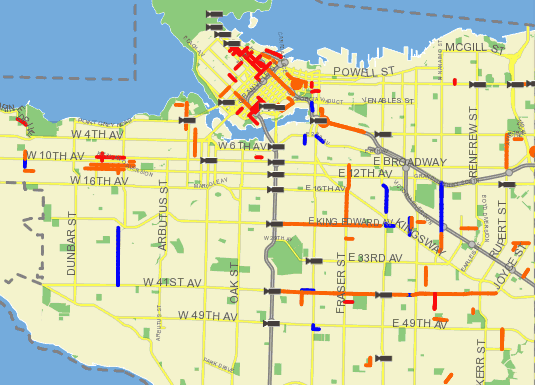 The challenge I’ve set to myself for this demonstration was the following: let’s figure out what’s the total length of roadworks currently happening in the city of Vancouver. Think of it as a reality check for your tax dollars at work! The data used to build this view is available on-line as a geo-tagged atom feed: each entry in the feed describes a roadwork, whether active or planned, and each roadwork bears a geolocation tag that is either a single pair of coordinates (a point) or a list thereof (forming a multi-segment line). To handle the geolocation information, I have created a pair of POJOs that can represent a list of multi-segment lines out of their coordinates. These POJOs are also able to compute the total distance represented by the different geographical segments. 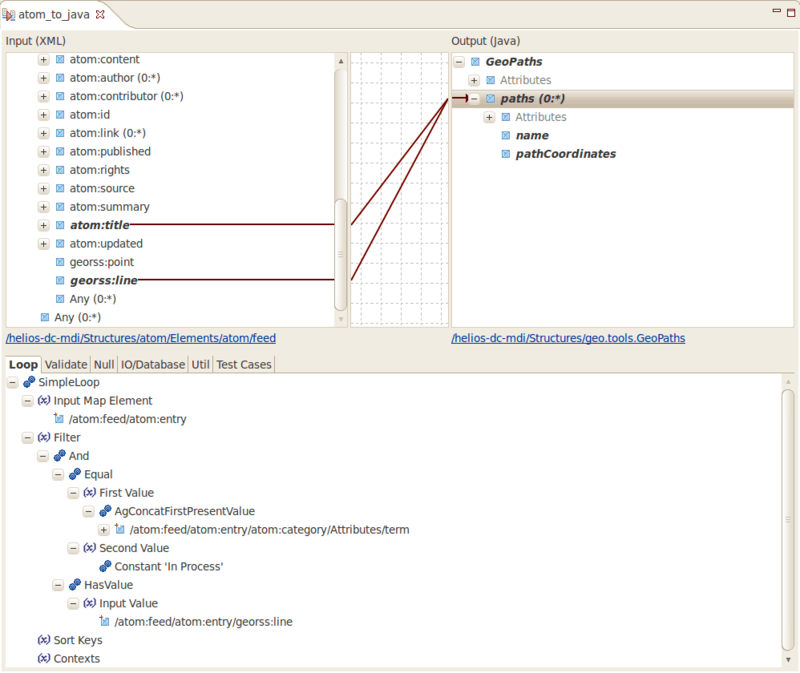 Represent roadwork in process, which is done by selecting the value found in the term attribute of the first (and only) category element of the entry and checking it is equal to ‘In Process’. Has a georss:line element, as some entries only have a georss:point element (not very useful for calculating a distance!). The configuration itself is a simple HTTP bridge between a local server hosted on Mule and the live atom feed from vancouver.ca. The important part of the work happens in the response transformers stack, where the feed gets turned into POJOs by a Mule Data Integrator‘s transformer configured with the above map. 104 geo paths for a total length of: 32392 meters. Yep, that’s 32 kilometers of roadworks. Aren’t you glad public transit exists? If you have Mule Data Integrator and Mule IDE installed on your machine, then grab the roadworks demo projects and have fun! I tried the example but get all sorts of erros when opening the projects in MDI. failed to open import object of type com.oaklandsw.transform.struc.cid version 18 import and version 17 is understood by software. Am i missing an MDI update? FYI. The MDI version I’m running is 3.0.7.20100628-0705.